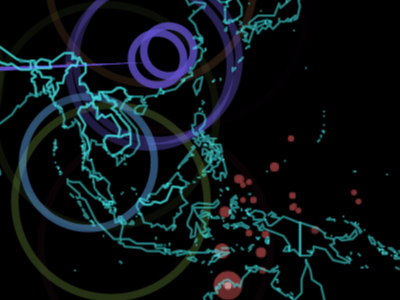 This map visualizes cyber attacks, in real time, illustrating the key players (and targets) by IP geolocation, and type of attack. There are over 50 engineers on the project, integrating information from more than 8 million sensors located in 50 countries, a custom sensory platform to detect and visualize these cyber attacks. 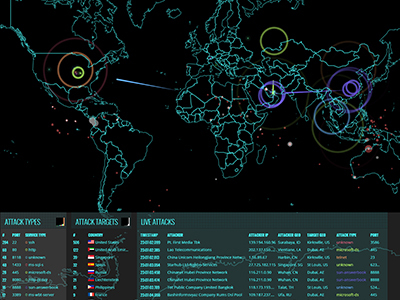 The dynamism of the real-time visualization is itself only a small sample of the throughput of cyber attacks detected on Norse's sytsem.